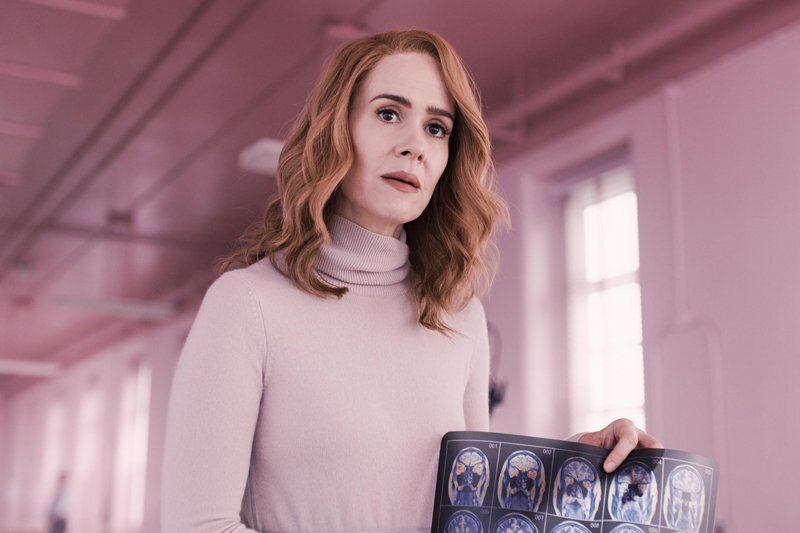 ComingSoon.net got to have an exclusive chat with actress Sarah Paulson ( American Horror Story , Ocean’s Eight ), who plays Dr. Ellie Staple in the film, and you can check out the full interview below! So everybody, you know, he’s so invested in this succeeding, and I don’t just mean monetarily or box office, but in the storytelling of it, that he’s going to be tireless in his pursuit of that result. It does contribute to that seriousness and that dedication and that thing where he’s going to be working hours longer than anyone else because he has more invested, and I mean it quite literally, in the outcome being what he hopes it can be. It always feels really ridiculous because you’re going, “What does that have to do—oh, you’re picking shoes that you think, but I’ve done this research that tell sme I’m actually playing this entrepreneur of this tech company and this is what all the kids are wearing at this place. CS: Getting into SPOILER TERRITORY: Obviously, at the end of the movie, we find out that Staple is part of this larger sort of Illuminati-esque group that is responsible for suppressing people with super powers by murdering them.